SUSAN CHOI’s first novel The Foreign Student, won the Asian-American Literary Award for fiction. Her second novel, American Woman, was a finalist for the 2004 Pulitzer Prize for fiction, and her third, A Person of Interest, a finalist for the 2009 PEN/Faulkner Award. A recipient of fellowships from the NEA and the Guggenheim Foundation, in 2010 she received the PEN/W.G. Sebald Award. 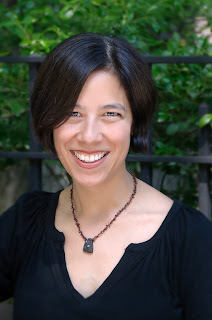 She teaches at Princeton and lives in Brooklyn with her husband and sons. Home is Brooklyn, New York, where I live with my husband and sons, but it's also Houston, where I spent the so-called 'formative years,' and where my mother and many dear friends still live. Going there is always a homecoming. When did you first think of yourself a writer? I wrote a lot, for fun, from a very early age, but it wasn't until my early 20s, confronted with the hard fact that I had few (if any) other skills, that I started to think of writing as something I might do for a profession. It took a bit more than that - publication, mostly - before I could think of myself as a writer. What was the first piece of writing you got paid for? Honestly, I have no idea. It isn't like I framed the dollar bill. My first published story was in Epoch in the early 90s but whether they paid me in a small amount of money, or a small amount of copies, I don't remember. Either way I was thrilled. Can you remember the first time you signed one of your own books – who was it for? Another strikeout here, memory-wise. I do remember how hard it was, signing my first book, because I felt I ought to write a little letter of gratitude to every single person who bought it, and that was rather time-consuming. Your second novel ‘American Woman’ was nominated for The Pulitzer Prize. 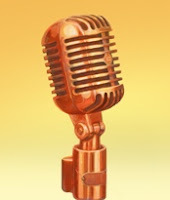 How did you find out about the nomination and did you celebrate it? This I do recall. I was at a writers' colony in Upstate New York when I got an email - I wasn't checking email very often - from a friend congratulating me on being a finalist, and I had no idea what she was talking about. I hadn't heard a thing from my agent or editor or anyone else. I can't recall if I celebrated - there weren't many places to celebrate where I happened to be, roughly in the middle of nowhere. I was certainly happy about it. If you could choose 3 books that influenced your writing in your early career, what would they be? Woolf's To the Lighthouse, Rushdie's Satanic Verses, and all of Donald Barthelme's short stories. The influence wasn't necessarily positive. I was involuntarily imitative of the work that made the deepest impression, often with quite laughable results. When you began writing your new novel ‘My Education’, how did the story begin - with a phrase, a character, an idea? Mostly with the idea of youth - how narcissistic, and selfish, and clueless it can be. Kingsley Amis famously abandoned a 1980s novel because it contained a gay hero and he feared “the chaps at the club might think I’m queer”. At the heart of ‘My Education’ is a lesbian love affair; are you braver than Amis or have times merely changed? I doubt very much I am braver than Amis. Perhaps he and I can have a duel sometime now that he lives in Brooklyn, and find out. I think times have changed. At the same time, that aspect of the novel has received, from some quarters, the wrong kind of attention, I think. How are you affected by critique? It really depends on the critique. If I think it is warranted, honestly I often appreciate it. It's really hard to see one's own work objectively. If I think it is unwarranted, I am perfectly capable of having hurt feelings. Do you feel there is anything that people are missing in your work? I think there's a lot of humor in my work but I can't seem to get a reputation for being funny. You teach creative writing at Princeton. Has this helped your own writing? The right amount of teaching always helps my writing, regardless of where I happen to be doing it. Helping students learn to critique work has really taught me everything I know about how to critique my own work. You also edited a book of short stories while working at the New Yorker – what is your opinion of the short story form and do you think we might ever see a collection from you? I love the short story form much as I love poetry: both seem utterly beautiful and foreign to me. I just don't know how to write short. I seriously doubt you will ever see a short fiction collection from me based on my efforts so far, but who knows. I am not quite sure. I'd really love to write a book my kids, currently 6 and 9, could read. Sounds like an interesting challenge. Have you formulated an idea or written a draft yet? Ideas, yes; drafts, not yet. It's always a bit of a process for me sorting out the plausible ideas from the terrible ones. I wait to stumble upon the way 'in;' it might be a voice, or a scene. Then I can attempt a draft. How can you tell if the work is going well? I think about little else, and am very cheerful. 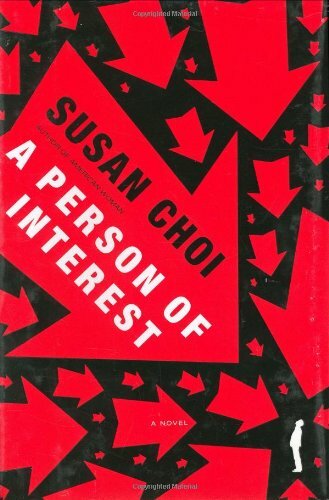 When I read a Susan Choi novel I hear music in the sentences. 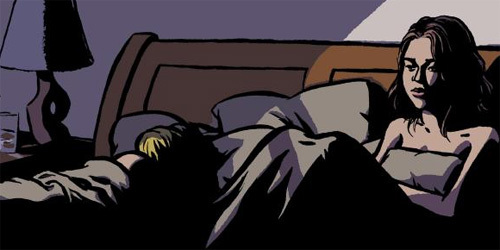 There’s a great confidence in the use of pauses, which reminds me of Steven Millhauser. Can you talk a little about the rhythm of your writing? Thank you! That's very kind. I can tell you that I sometimes fear I'm too focussed on rhythm, to the point that my sentences actually take on weird, stilted rhythms, as if I were trying to disguise some kind of pentameter inside of them. I often tell myself, while writing, 'Just make it sound normal.' I'm afraid I'll be precious. How do you feel about working to publisher’s deadlines? In general I like deadlines, but working to a book deadline has not gone well for me. Novels are too big to rush; once you get into a deadline state of mind with them, everything about them is prone to become warped. Does that mean you are also prone to missing deadlines? Unsurprisingly given what I've said I'm very good at making the small-scale deadlines and not so great at making the large-scale ones, based on limited experience. I've only had a book deadline once, with this latest one, My Education. It was due more than two years before I delivered it. I hope not to repeat that experience. How much faith do you have in an editor improving your work? It depends on the editor. I love a brilliant editor swooping in and telling me what needs to change. I find it easier to work with someone who has a strong opinion - even one with which I disagree - than to work with someone who is completely hands-off. The sorts of editors who can really edit are more and more of a rarity, though. Editing - in the right way - is much harder than writing. Do you find writing a lonely profession? A bit. Oddly, I find the process of writing not lonely at all, but the process of publication - of putting it out there - for me is paradoxically very lonely. I told a theatre director friend of mine I'd developed a fantasy of being a playwright, because then, when the work was presented, at least I'd have company, other people on the hook with me as far as how the work was received. Be very clear what you're doing it for. The personal satisfaction of making something of which you are proud; the gratification of connecting with the reader, on whatever scale; those are good reasons. Fame and money - those are poor reasons, about as logical as expecting your income to come from a lottery win. It's amazing to me how many people still believe that writing will provide a pathway to celebrity and wealth, in the face of all conflicting evidence. If you're going to write for a living, the writing itself had better be the main thing. Thank you, Susan and good luck with your future novels. 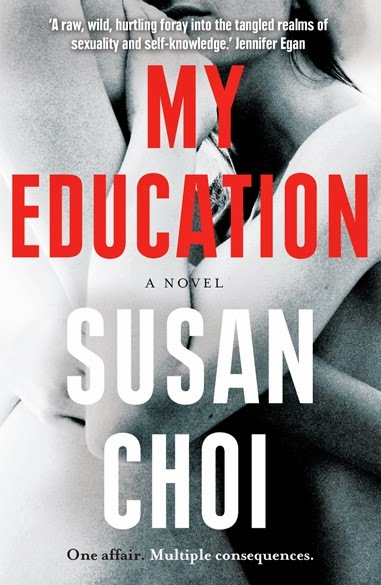 Susan's latest novel, My Education is available from Amazon UK here .